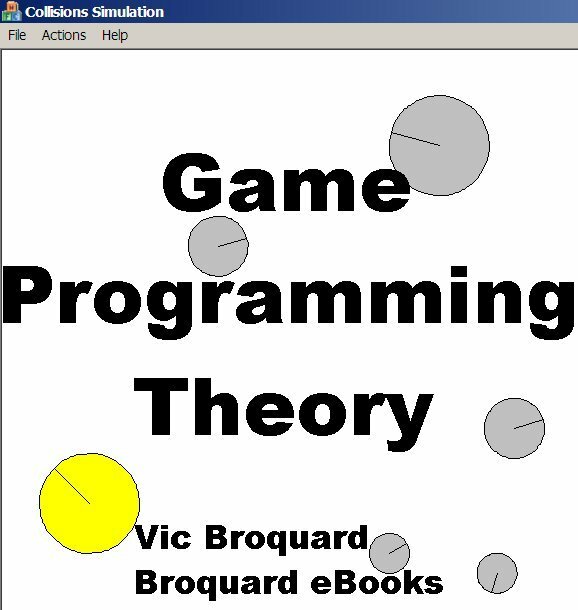 Game Programming Theory in C++ begins with a short review of basic mathematical principles needed in games programming, including Vectors. Since object oriented classes are used throughout, the basics of writing C++ classes are also presented at the very beginning. Next Game Programming Theory in C++ discusses and programs chasing, evading, and intercepting algorithms. Patterned movement is illustrated. Sufficient physics is presented so that the reader can grasp the important equations of motions in both 2D and 3D situations. These are applied to a rigid body simulator. Game Programming Theory in C++ covers flocking algorithms and movement based upon a potential function. Path finding is discussed in depth, including the A* method. Scripting is handled in Game Programming Theory in C++ as well as ini file creation methods. Finite state machines are illustrated as well. One chapter discusses many detail about projectile simulations, car simulations, and boat simulations. A 3D airplane simulator is covered. Fuzzy logic is presented in depth to illustrate handling of combat situations. Game Programming Theory in C++ covers the physics of collisions in 3D, a very important topic in nearly all games. Finally, methods of terrain generation are shown, along with sector analysis. Once you have finished Game Programming Theory in C++, you are ready for Programming Non-graphical Games in C++ which focuses on how to construct the many different types of game engines. After that, tackle the two windows programming books to learn how to build the graphical interface. Game Programming Theory in C++ was in use at Illinois Central College in the Cmpsc 129 Games Theory course. This edition uses C++ for programming examples and uses Microsoft’s Visual Studio .NET 2005 compiler and the .NET 2008 compiler. Game Theory Programming in C++ comes in Adobe pdf files. One file contains the entire book. There are also individual chapter pdf files. All of the sample programs are provided as well as the test data needed for some of the programming assignments are provided. If you do not have the Adobe Reader, Get Adobe Reader by clicking this link.